The office, beginning with the exterior, has a homey, warm feeling designed to calm patients and make them feel comfortable. To Dr. Scott Sayre, dentistry is not just his day job; it is a vital part of everything he does. In addition to owning Advance Dentistry—his very successful general dentistry and oral surgery practice in Cincinnati, Ohio—Dr. Sayre serves as commander of the 445 Aerospace Medicine Squadron (AMDS) in the Air Force Reserves. In this role, which he’s held for the past 10 years, he serves 2,500 squadron members, overseeing their health and wellness. In that capacity, he has traveled around the world on medical missions, providing complimentary dental care to people in Senegal, Ghana, and Guatemala. Closer to home, Advance Dentistry has launched Cincy to Care, which offers complimentary services to those in need in the Cincinnati area. A patient consult allows Dr. Sayre to explain and show procedures he plans to perform. This extraordinary service that goes “above and beyond” the norm characterizes the person that Dr. Sayre is. He is committed to sharing his dental expertise as a way to give back to the community, and it is one reason his practice has grown so dramatically since he opened the doors back in 1978. When he started out, he practiced out of a small 700-square-foot space. Just a year later, he relocated to his current site and a 1,200-square-foot office. Eventually he outgrew that space, too, and completed renovations to add another 5,500 square feet in 1986. His latest build out was completed in May 2012, and it expanded the footprint of the building into a vacant lot next door. Spirit 3800 rear delivery units allow for easy integration of KaVo handpieces, scalers, and curing lights in the operatories. creating a smooth patient flow and greater privacy for patients. Dr. Sayre’s punch list for the new space included better consultation and recovery areas, more rooms for IV sedation, and a call center that could handle phone functions. 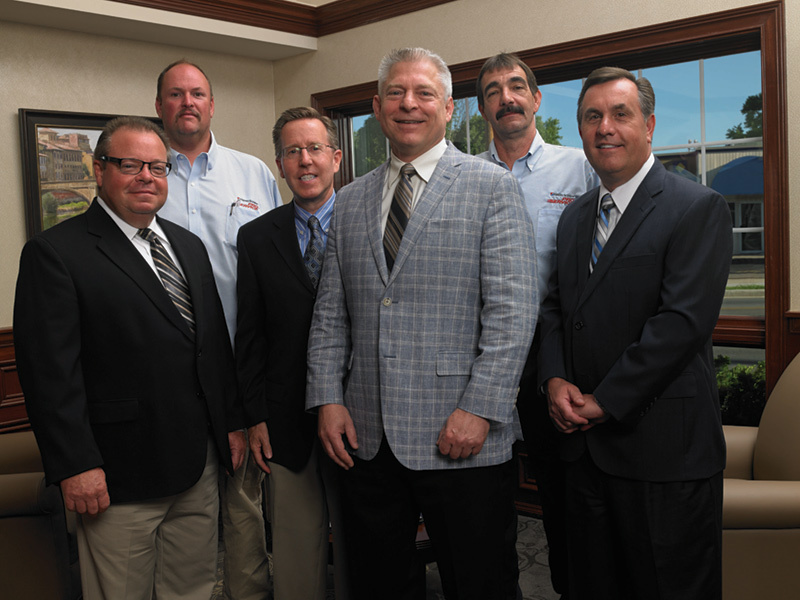 He now offers 12,000 square feet of state-of-the-art dentistry, complete with 16 identically equipped operatories (one more is available to be equipped when needed), and two Pelton & Crane Steri-Centers. 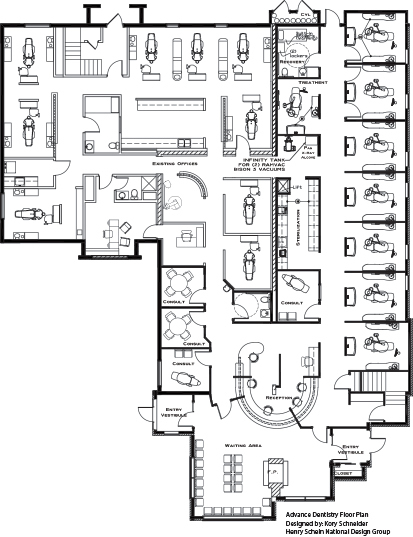 The top floor contains the new call center, employee lounge, conference room, and business office. It is truly a remarkable example of efficiency and cutting-edge dentistry. 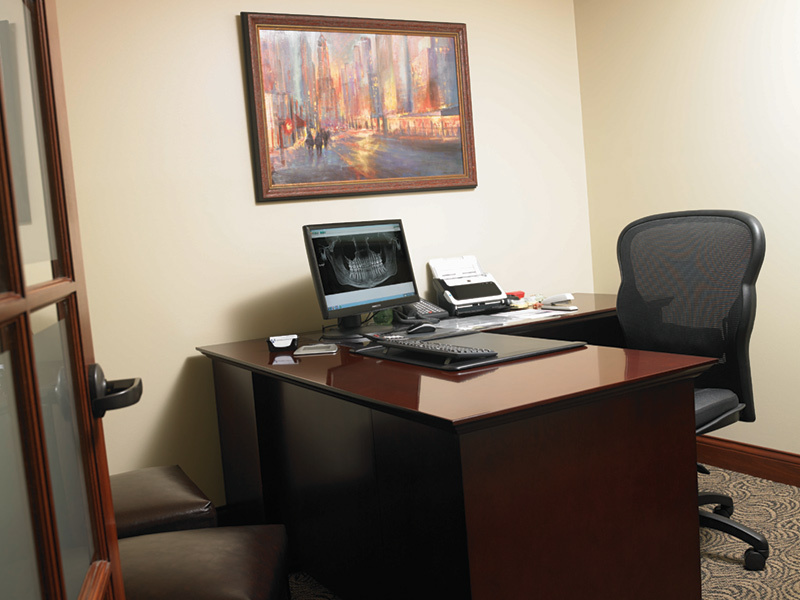 The spaciousness of the office allows the staff of 46—including four dentists— to provide care in an organized and productive flow. 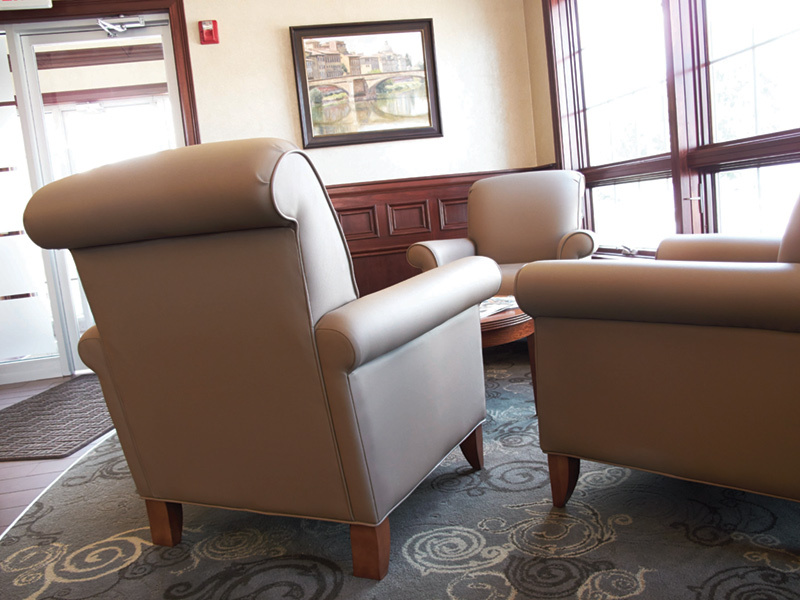 A grouping of luxurious leather armchairs gives patients a place to relax before their appointments. The doctor was a long-standing customer who had relied on Henry Schein for many years, and he decided to move forward with them once again because of the team’s knowledge and experience and its ability to guide him in both the design of the addition and the equipment choices. 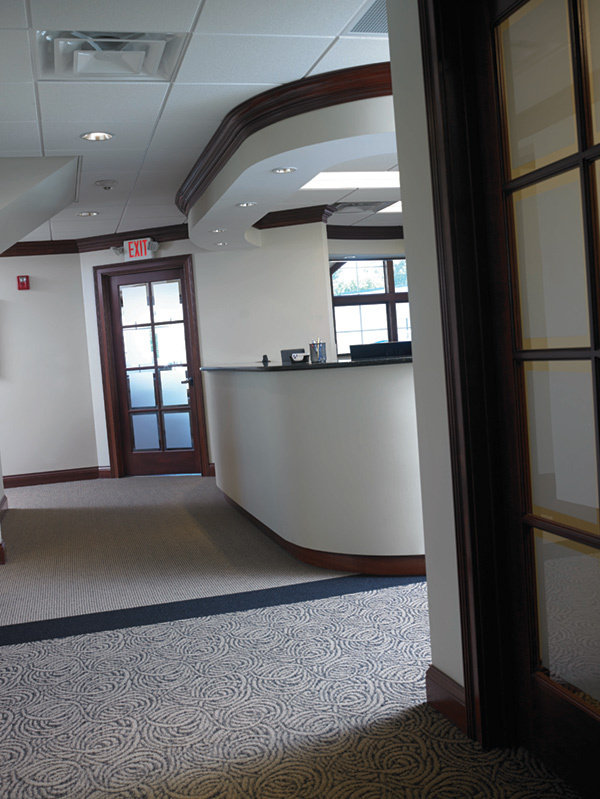 The Team was able to complete the project, integrating the new space into the existing practice seamlessly, without requiring a single day of downtime for the practice. 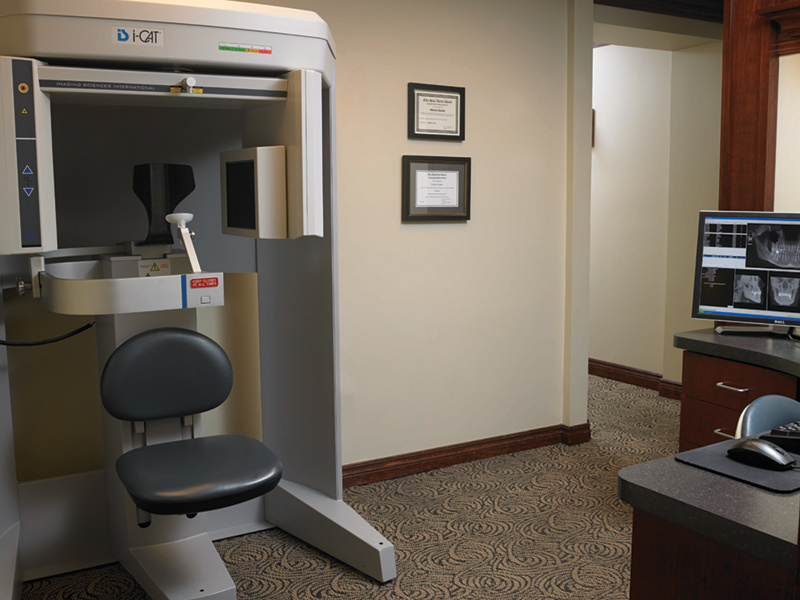 One of the benefits of the new addition was a dedicated space for the i-CAT imaging system. 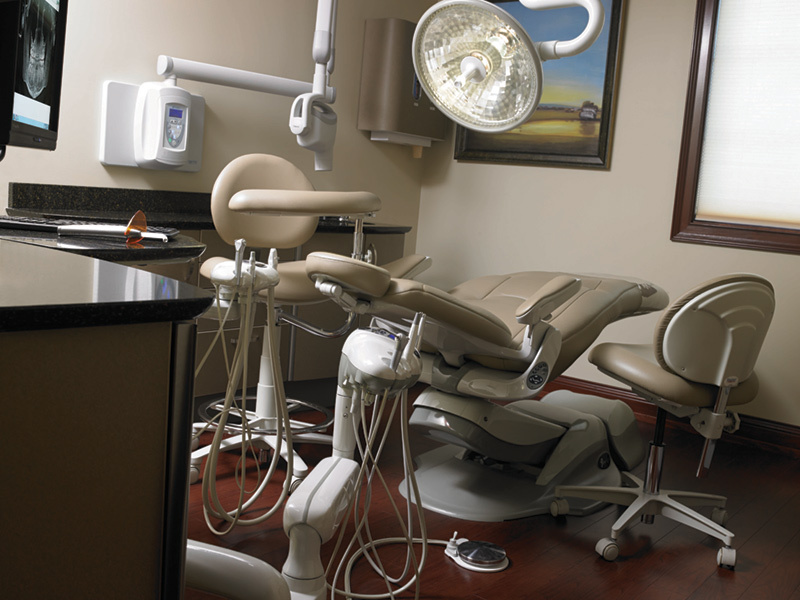 As one of the first dentists in the area to provide sedation dentistry, Dr. Sayre was especially conscious of the fear and apprehension that his patients felt when they visited, whether it was for a routine exam or a more involved procedure. For that reason, he wanted every aspect—from layout to furniture—to incorporate comfort and tranquility. The craftsman-style design features a generous use of dark woodwork and a rich palette of grays and browns. 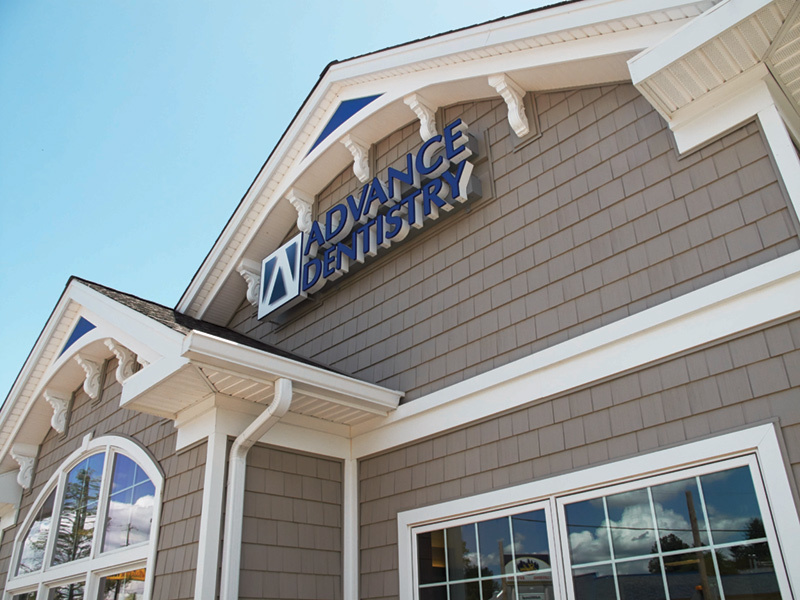 Even the building exterior, which is cedar shingled and more like a home than a full-service dental office, sets the mood for patients. 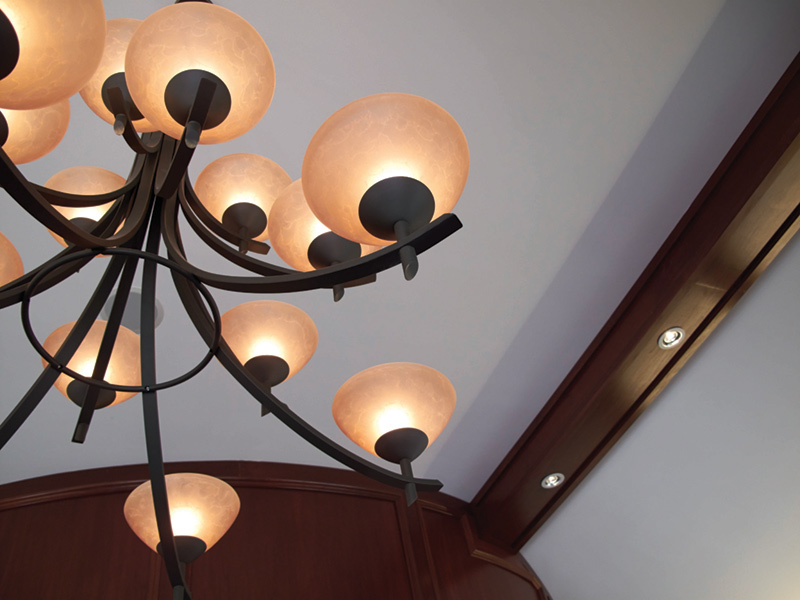 Craftsman-style light fixtures tie into the decor and cast a warm glow on the office. 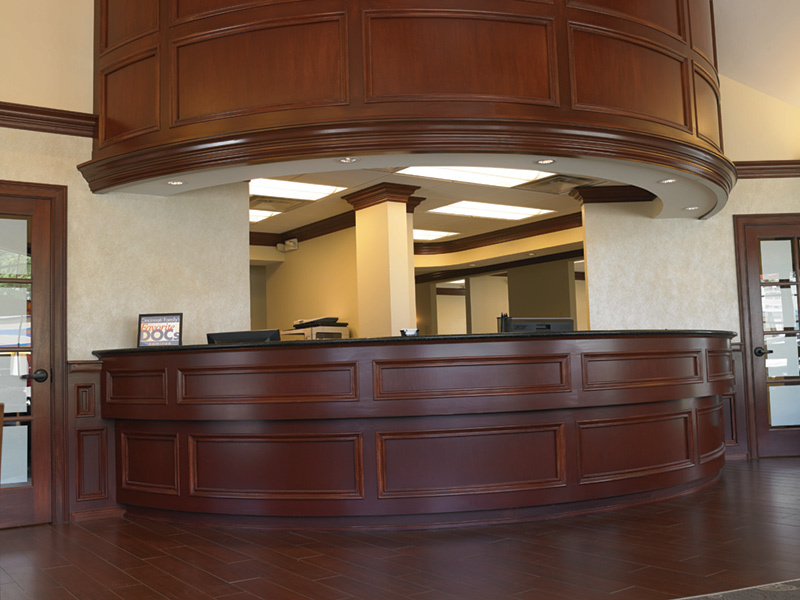 The sheer size of the massive, beautifully crafted check-in desk makes it a definite focal point in the waiting area. This space was fully renovated and enlarged when the addition was added, and it is spacious enough to provide privacy during check-in and checkout. A grouping of luxurious leather chairs allows patients to relax while they wait. The flooring is a combination of dark wood and patterned carpeting with swirls of cream and charcoal. Back in sterilization, crisp gray and white checkerboard tiles lend a slightly retro feel to this state-of-the-art, galley-style area. Patients are led to the clinical areas, turning left to visit the original operatories or right to be seated in the new ones. Dr.Sayre added an Instrumentarium OP30 digital pan to the practice. The doctor had already used Pelton & Crane chairs and delivery units and Midmark surgical lights in the existing operatories, and he had been pleased with their performance. He opted to purchase similar equipment, including new Spirit 3800 rear delivery units that would allow for easy integration of KaVo handpieces, scalers, and curing lights. 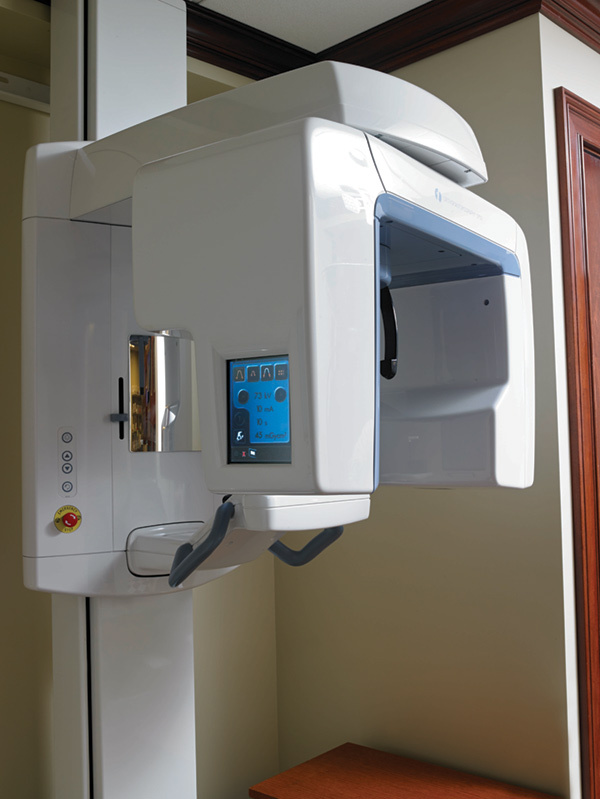 In addition to the existing i-CAT, the doctor also purchased an Instrumentarium digital pan for the new side of the office, all of which integrate with the practice’s Dentrix practice management system.